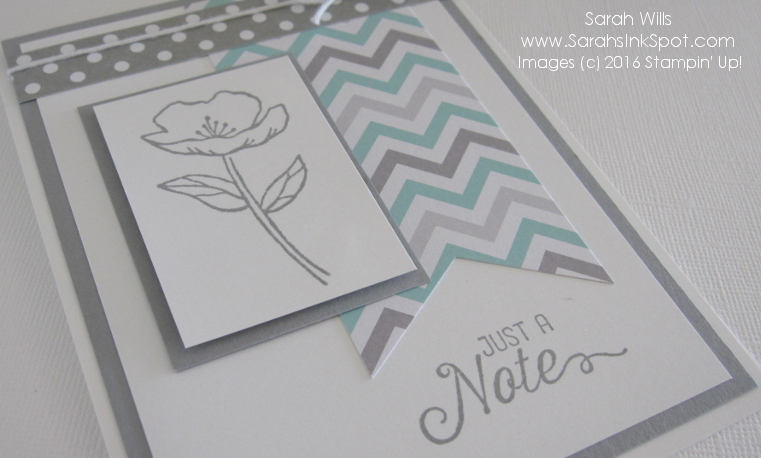 Oh I love soft & subtle cards and when I made this one, I realized that I just don’t use my subtles enough…I need to dig them out WAY more often! 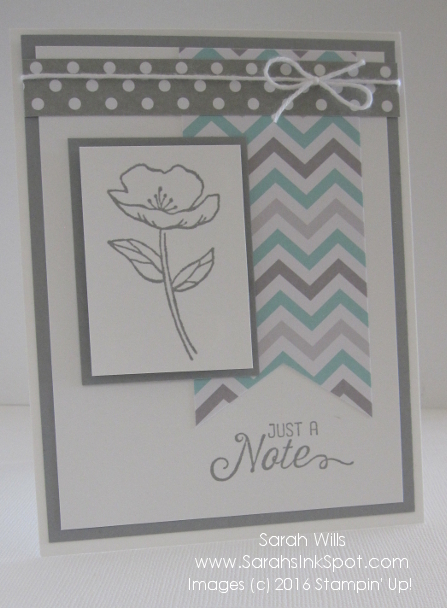 Anyhoo, this type of card showcases how I like to use my scraps up…and did I mention how much I LOVE these subtle colors!? And the other thing I love about cards like this is that you can theme them for ANY occasion simply by switching out the sentiment – I like to make a batch of them without words, and then add the appropriate stamped sentiment as I pull each out to use it – this is a great way to have on hand cards that work for anything at anytime! The patterned papers are from two packs – the polka dot piece is from Neutrals DSP Stack and the chevron pieces is from A Little Foxy – if you haven’t gotten that pack yet then it’s a MUST HAVE – oh my, there are some beautiful & adorable sheets of paper in there! 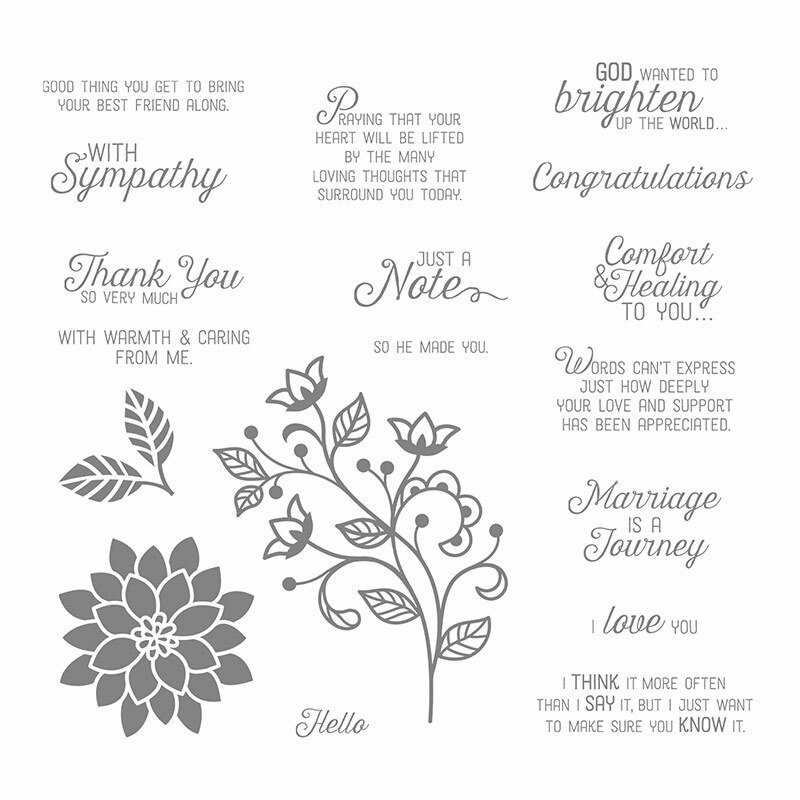 AND you can BUNDLE UP AND SAVE A BUNCH when you buy this stamp set with the co-ordinating set of dies called Flourish Thinlits – GORGEOUS GORGEOUS set of dies! No project sheet for this card as it is super duper simple – supplies I used are listed below – you can change the sizes of the banners to suit whatever scraps you might have – have a FABULOUS Saturday – and enjoying playing with those pretty papers & scraps! 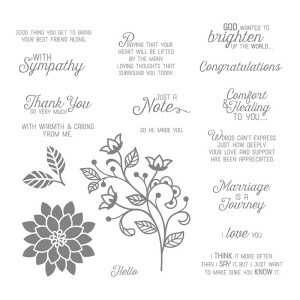 CLICK HERE TO ORDER YOUR STAMPIN’ UP! SUPPLIES ONLINE! ← ONE DAY ONLY – GET PAPER PUMPKIN IN JUNE FOR JUST $5!